For those who know that there is something fundamentally wrong with the current direction of humanity on a global scale, whether we are discussing war and occupation, human rights, or environmental degradation – the question remains – what can we do about it? In Cuba, you will often see and hear the slogan, “un mundo mejor es possible” or “a better world is possible.” This better world is not only possible; it is increasingly necessary. Since the triumph of the Cuban revolution in 1959, Cuba and its revolutionary leadership have embarked on a different path, a path towards self-determination, sustainability, improved health and education, unity, and creativity – a socialist project towards socialism. This is an important example we can all learn from. This month the Cuban people, as well as people around the world, are celebrating the 60th anniversary of the Cuban Revolution, which triumphed on January 1, 1959. Led by Fidel Castro along with the great leadership of Ernesto “Che” Guevara and Raul Castro, as well as countless others; the revolution succeeded with the defeat of U.S.-backed dictator Fulgencio Batista, who had been president of Cuba since coming to power through a coup d’état in 1952. In 1953, 90% of people in Cuba were illiterate or semi-literate, with only 3.2% of the school-aged population over the age of 10 being enrolled in junior or senior high schools. One-third of all homes in Cuba were classified as huts, while only 56% of homes had electricity. An employment census taken for the year 1953 showed that 8.4% of the workforce was unemployed. This high unemployment rate does not even give the full picture of the poverty facing Cubans, as the census was taken during the height of the sugar harvest when unemployment was at its lowest. It is estimated that real unemployment throughout the year was closer to 30%. Under the leadership of Fidel Castro, the Cuban revolution promised: jobs to the jobless; healthcare and education to those who had never been able to afford it; electrification and proper housing; land for peasant farmers who had always worked the land of rich landowners; nationalization of many industries previously owned by U.S. corporations; the creation of a planned economy; and the list goes on. 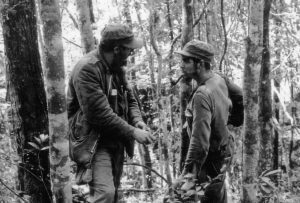 While Fidel Castro and the revolutionaries planned for the implementation of these promises, the U.S. government saw its colonial and imperial ambitions threatened. The U.S. government tried to defend its interests in Cuba by imposing severe economic sanctions. On April 16, 1961, Fidel Castro declared the Cuban revolution a socialist revolution. On April 17 the U.S. government orchestrated invasion at the Bay of Pigs. However, the revolution pushed forward and in less than 72 hours kicked out the invasion forces. In February 1962, a full trade embargo – or blockade – against Cuba was announced by U.S. President John F. Kennedy. For over 55 years, numerous U.S. administrations, both Democrat and Republican, have claimed these sanctions are meant to punish the revolutionary government of Cuba, not the Cuban people. However, over 55 years of the blockade has demonstrated that this cruel and unjust U.S. policy hurts the entirety of Cuban society: cutting access to medicines, school supplies, construction materials, and countless other needed items. WHAT DOES IT MEAN TO SAY CUBA IS AN EXAMPLE? Throughout the world, women are struggling for their rights, the right to equal pay, the right to make decisions about their bodies, and the right to have a voice and be treated equally in society. In the early days of the Cuban revolution, Fidel Castro recognized that one of the deepest challenges Cuba would face was the emancipation and full participation of women in a severely machista society. In 1960 the Federation of Cuban Women (FMC) was founded, and since that time it has been developing policies and programs aimed at achieving full equality for women. This is not a small feminist grouping; the FMC has become one of the world’s largest feminist organizations with over 4 million members, meaning over 90% of women over the age of 14 in Cuba. Recently Cuba has launched a dynamic campaign titled, “¡Evoluciona!” or “Evolve!” it is a powerful campaign being led by youth everywhere on the gender spectrum, against violence against women. Their main slogan is “el machismo te atrasa, el acoso te atrasa” or “machismo holds you back, harassment holds you back.” It is a positive campaign raising awareness and getting young people involved in making change in their communities. The inclusion of women in politics in Cuba is an ongoing challenge. 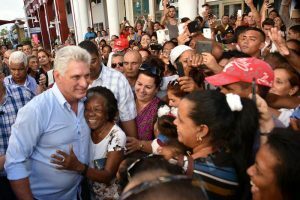 However they have made tremendous gains with Cuba’s new National Assembly elected in March 2018. Today 53.22% of representatives to Cuba’s National Assembly are women. Cuba now ranks second in the world for the highest participation of women in parliament (Rwanda has the highest percentage of women in parliament in the world). Women also make up 48% of top officials in the State leadership. All this demonstrates the dynamic contribution of women in society. Free and universal healthcare should be a fundamental human right, although throughout the world today, including in wealthy countries like the United States, people are forced to pay out of pocket, often insurmountably high sums of money, for something they should have the right to as a human being living on this planet. 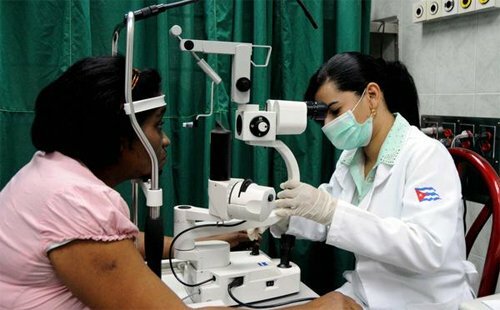 Today, the Cuban constitution guarantees access to universal medical care and citizens receive free healthcare from dental to major surgery, to regular check-ups – everything is covered. 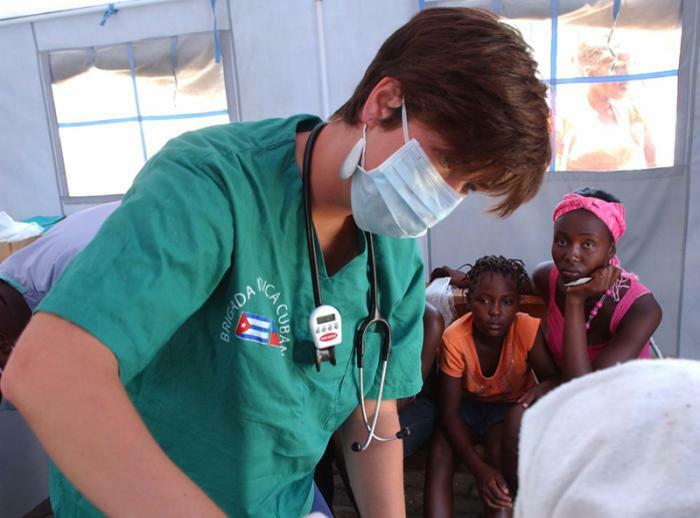 Cuba has one doctor for every 156 citizens, that is the most doctors per capita of any country in the world. In 1959, life expectancy in Cuba was 45 years. Today, even according to the CIA’s World Factbook, Cuba’s infant mortality rate is the lowest in the Americas – 4.40 / 1,000 births, Canada (4.50 / l,000 births) and the U.S. (5.70 / 1,000 births) suffer from slightly higher infant mortality rates. While this may seem like any other statistic, infant mortality is seen as an important indicator for human development as it demonstrates how a society treats its most vulnerable members. Life expectancy at birth is another important indicator of health in a country, Cuba has one of the longest life expectancy rates in Latin America at 78.9 years. In wealthy countries like the U.S. and Canada, young people are taking on years of debt to get a post-secondary education. Many teachers, especially in the U.S., are forced to take on a second job to support their underfunded classrooms in the public education system. While Cuba is considered a so-called “third world country,” with limited natural resources and wealth, they have made public education, including post-secondary education, a priority. 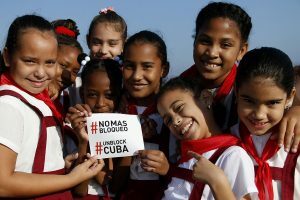 Prensa Latina News agency explains the findings of the 2017 UNESCO report (United Nations Educational, Scientific and Cultural Organization) writing, “Cuba is the Latin American country with the highest rate of educational development and the only one that has met the global objectives of Education for All. Cuba also devotes about 13 percent of its Gross Domestic Product to education. 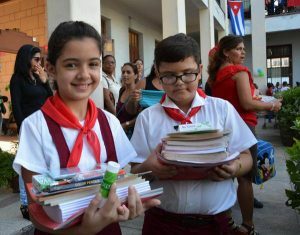 This year, the funds planned for Education amounted to 8.2 billion Cuban pesos (more than 331 million dollars), equivalent to 23 percent of budgetary expenditures.” Today education is fully funded in Cuba by the government up to and including university. Cuba also works to remove barriers to accessing education. For example, if a student is studying a specialty away from home, they will be provided with free residence, meals, etc. This is an example of what is possible when education is a true government priority. The fight for food security and a sustainable way of life is becoming an increasingly large concern for people around the world. The World Wildlife Fund’s “2006 Living Planet Report” named Cuba as the only country in the world developing towards sustainability. This report balances each country’s Human Development Index and Ecological Footprint. This means that environmental protection is not the only factor that is considered in sustainability, a high human development index (a healthy and educated population) is also a key factor. 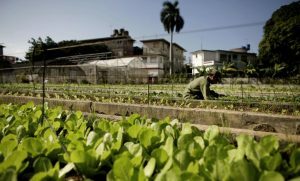 According to the 2017 “State of Food Security and Nutrition in the World” released by the Food and Agriculture Organization of the United Nations (FAO), Cuba is the only country in the Caribbean and Latin American with a “prevalence of undernourishment” of less than 2.5% of the population, this is considered highly developed and is the same rate as Canada. Another interesting fact about the environment in Cuba is that in 1959, only 14% of Cuba’s territory was considered “forest-covered.” As of 2000, the forest had recovered to 23% of the total land area according to a World Resources Institute report in 2003. According to the revolutionary government of Cuba’s reforestation plans Cuba would continue this trend towards a balanced figure of 25% by 2008. In 2016, Cuba surpassed this goal, announcing 30.6% forest cover in Cuba according to the “Environmental Outlook: Cuba 2015”, published by the National Office of Statistics and Information. 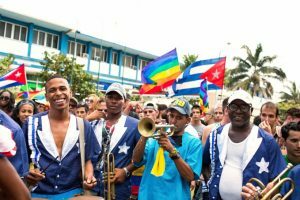 Battling homophobia, transphobia and biphobia is a major uphill battle in Cuba which is traditionally machista and heterosexist society. The efforts of Mariela Castro and CENESEX are an important example of a political and militant queer community, that is actively reaching out to the rest of society to make change, with government and education ministry support. 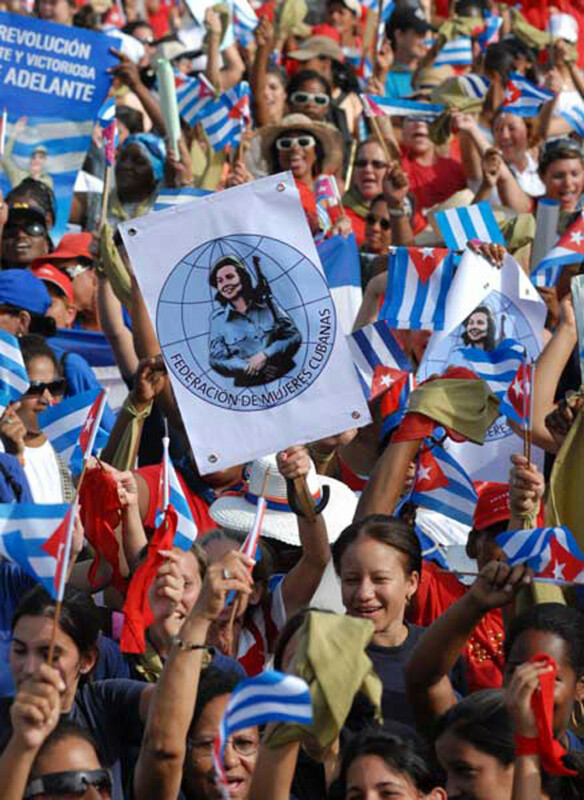 Revolutionary internationalism is the foundation of the foreign policy of the Cuban revolutionary government. It means international solidarity with all working and oppressed people politically and materially no matter their country of origin. One of the most beautiful examples of Cuba’s revolutionary internationalism is the victory at Cuito Cuanavale. In 1987, the South African apartheid army prepared a new assault on Angola. Fidel Castro explained how the South African army “advanced strongly towards Cuito Cuanavale, an old NATO airbase and is prepared to deliver a mortal blow against Angola. Desperate calls were received from the Angolan government appealing to the Cuban troops for support in fending off presumed disaster; it was unquestionably the biggest threat from a military operation in which we, as on other occasions, had no responsibility whatever.” Even though it was not Cuba’s responsibility to defend Angola’s sovereignty, Fidel sent 55,000 soldiers to Angola. Remaining in Cuba, Fidel spent days and nights strategizing the battle in Angola. 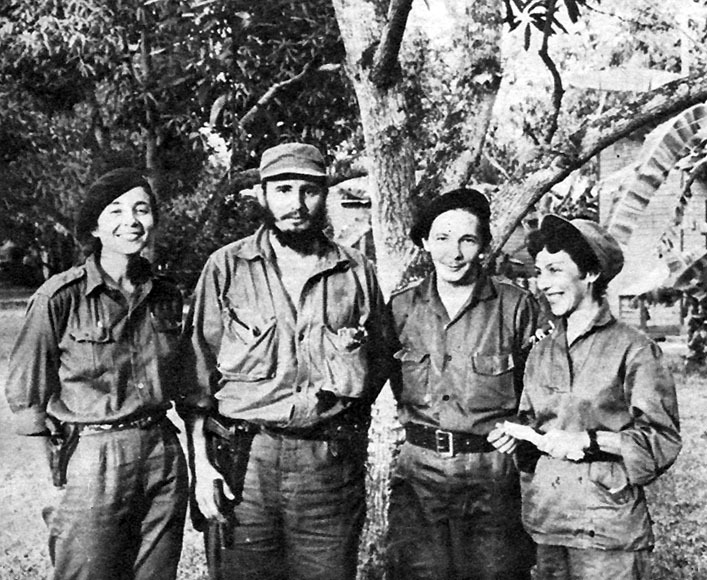 Fidel’s plans were victorious, and the victory against the apartheid army in Cuito Cuanavale weakened them severely. Years later when the racist South African apartheid regime was defeated, and Nelson Mandela became the president of South Africa, Mandela would often say, “the defeat of the racist army at Cuito Cuanavale has made it possible for me to be here today.” Cuba was celebrated for taking home from the battles only its dead, while countless other governments who came to “help” Africa over hundreds of years always managed to come away wealthier, having plundered the wealth of the continent. Today Cuba’s revolutionary internationalism is not about soldiers. Instead, Cuba sends doctors and medical workers around the world. Since its founding in 2005, Cuba’s “Henry Reeve International Medical Brigade” (HRIMB) an internationalist emergency medical team has travelled to 21 countries to help more than 3.5 million people affected by disasters and epidemics. Among the 3.5 million people served, they have directly saved an estimated 80,000 lives. For example, during the Ebola outbreak in West Africa (2014-2016), the Brigade sent 250 medical professionals. According to the World Health Organization (WHO), this revolutionary medical force constituted the single largest medical operation on the ground in Sierra Leone, Guinea and Liberia. In 2017 the HRIMB was awarded one of the WHO’s most prestigious and lucrative prizes, the Dr. Lee Jong-wook Memorial Prize. HOW WAS CUBA ABLE TO DO ALL OF THIS? We could also look to the gains the Cuban revolution has made in culture, music, sports, and art. Cuba’s achievements in the Olympics and other international sports events; Cuba’s huge contributions and achievements in music; Cuba’s achievements in ballet; and so many other dynamic fields due to government support which has meant Cuban’s have excelled and been recognized on a world stage. We must remember that all of these gains and initiatives have happened despite over 55 years of U.S. blockade against Cuba. One important and decicive factor in the success and gains of the Cuban revolution is Cuba’s revolutionary socialist leadership. First, this means the central importance of Comandante Fidel Castro who was honest, sincere, courageous, knowledgeable, foresighted, farsighted, intuitive, intelligent, and most of all an internationalist revolutionary thinker able to envision both an ideal world and understand the objective world. In other words, a complete revolutionary, as Che Guevara called him. Secondly, Fidel had many other incredible leaders who worked with him, from Che Guevara, to Raul Castro, to Celia Sanchez, to Haydee Santamaria, to Camilo Cienfuegos, to Juan Almeida, to Vilma Espin, to Melba Hernandez, to Armando Hart and so many others. This was a leadership that was audacious in its vision and hopes for the future of humanity, but also able to turn that vision into something tangible and concrete at the service of the Cuban people. This leadership was most successful in its ability to take criticism and rectify itself, basically, learn from its own mistakes, as a healthy, honest, and revolutionary leadership must be. Third, Cuba has successfully built a broader leadership, integrating working people from across all sectors into the fabric of the Cuban revolution and its leadership. It has continued to mobilize people for various campaigns and asked working people to be involved and to take ownership of their country, of their revolution and its future. Fidel not only reached out to the Cuban people to encourage them to continue building on the gains of the Cuban revolution. True to his revolutionary internationalist perspective he also spoke out against climate change, imperialism, war, hunger and poverty. 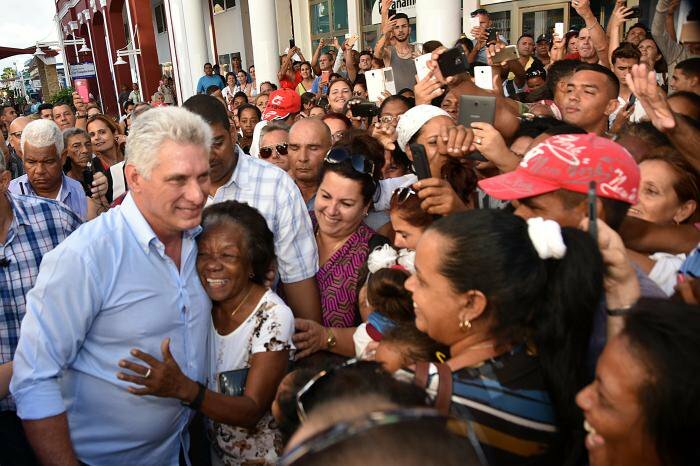 In 2018, Cuba elected a new President, Miguel Díaz-Canel Bermúdez. This year the revolutionary Cuban people and government also embarked on a campaign to create a new constitution. A draft of the new constitution was released to Cubans in 2018, which included 224 articles, 87 more than the current constitution. The draft constitution was widely circulated throughout the island, available at newspaper stands for Cubans to pick up and read. Debates and discussions on the draft were organized across the island. 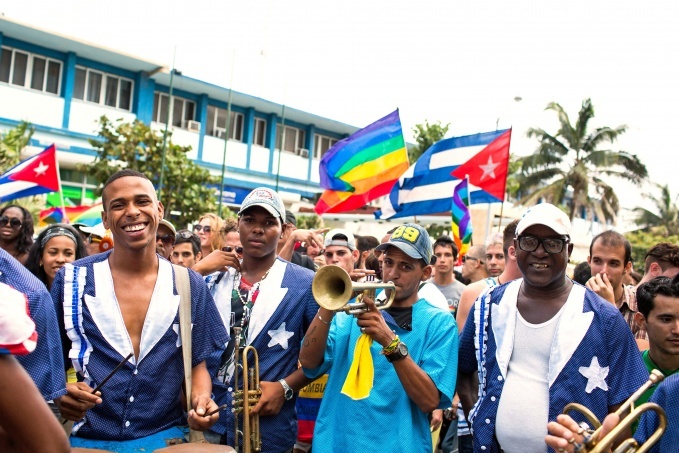 According to Havana’s Radio Coco, “with more than 110,000 meetings held in communities, workplaces and schools, in which more than 7,300,000 people participated.” Throughout December 2018, representatives of Cuba’s National Assembly have been meeting to integrate the suggestions into a final draft of the constitution which will be voted on by all Cubans in a referendum expected in February 2019. This is a popular democracy, with a popular process, in which even Cubans living outside of Cuba were invited to participate via online forums. The Cuban path towards socialism, equality, and a world where human beings no longer exploit one another cannot be fully realized until there are socialist revolutions in other countries. Cuba cannot be expected to build a socialist society on one island surround by a sea of capitalism and imperialism. Cuba and Cuban people are continuing and leading that path, we the working and oppressed of the world must join them! While the Cuban government is revolutionary socialist; the Cuban state is socialist, and the Cuban economy is organized through socialist planning; it does not mean Cuban society is a socialist paradise. Even after 60 years of revolution, Cuba is a society in a socialist transition, with many capitalist ideas and methods, including prejudices and inequality still exist. However, what makes the Cuban revolution such an important example to follow is its ongoing willingness to take risks, try new paths, to confront old and outdated ideas, and to continue mobilizing masses of people for social projects and undertakings. After sixty years, Cuba’s socialist project continues expanding its revolutionary potentials. As the international capitalist and imperialist system continues to destroy the humanity of working and oppressed peoples and our planet, we will not be able to sustain the destruction being reaped by capitalism much longer, if we do not resist and fight back. The examples and accomplishments of the Cuba’s socialist revolution must be used as an example for all poor, working, and oppressed people in our working class struggle, grassroots campaigns, and socialist movement building. With so many struggles against injustice under capitalism, our push for change can seem overwhelming. Cuba is an important reminder of the truth of the words of Ernesto “Che” Guevara who said, “We are realists, we dream the impossible.” Cuba has not only dreamed the impossible, but it has also done the impossible. We love and respect Cuba, the Cuban people and the Cuban revolution because they are a living example that a future without capitalism is possible and if we are going to save humankind – change is not optional, it is a necessity.